Extreame Savings Item! 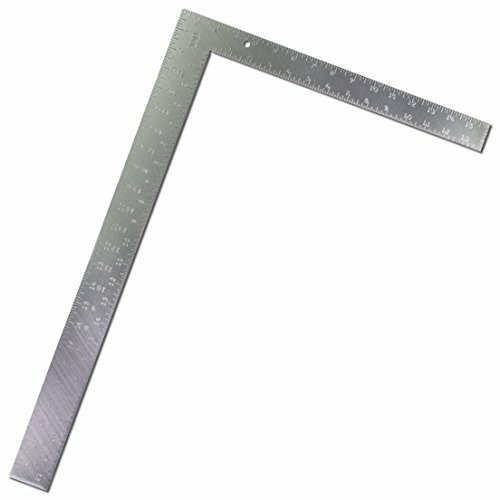 Save 41% on the VINCA SCLS-2416 Carpenter L Framing Square 16 inch x 24 inch Measuring Layout Tool by VINCA at tradingmart.net. MPN: SCLS-2412. Hurry! Limited time offer. Offer valid only while supplies last. VINCA SCLS-2416 Carpenter L Square is highly recomended for home DIY using as well as professional using. The material type is 1Cr13 hardened steel. VINCA SCLS-2416 Carpenter L Square is highly recomended for home DIY using as well as professional using. The material type is 1Cr13 hardened steel. Square finished with rust-proof treatment that durable enough for long lasting use. The measuring size is 16" x 24", and adopt punching process finished graduations. VINCA SCLS-2416 HAS 1 YEAR WARRANTY. For more information please follow us on Instagram @officialclockwisetoolsinc.